Device manufacturer Dell, has showcased its thin Venue 8 7000 tablet at the ongoing Consumers Electronic Show (CES) in Las Vegas. The tablet was first introduced for the first time in September last year. In what the company is calling the world’s thinnest tablet in the market, the Dell Venue 8 7000 tablet is 6mm thick, features an 8.4-inch OLED screen display, runs Android 4.4 KitKat, is powered by Intel’s 2.4GHz Atom quad-core processor and has 2GB RAM, with upto 16 GB internal storage and 512GB expandable. The Dell tablet is the first device to incorporate Intel’s RealSense Snapshot Depth Camera, promising great experience with three 720p stereoscopic cameras at the back alongside an 8-megapixel rear camera. Also in the Dell introductions was a new XPS 13 laptop, the thinnest and lightest laptop the company may have ever introduced at 13.3 inches and running the 5th generation processors. With thin being the true definition of sleek in the devices world today, leading manufactures tend to stretch more than they can reach to meet customer needs of beauty in a device, and Dell may have touched the hearts of many with the Venue tablet and the XPS 13. I am also in this category – the one that looks out for the thinnest device with the best specs and of course that is pocket-friendly, and by that I mean that is affordable for Me. Sometimes pocket-friendly is relative, only an individual knows how deep their pockets run. In regard to the new devices, I am not excited – not even for the sake of it, if not to buy them. The thinness may bring desirable to the table and even make them more likable, but even with the cutting edge features, my fancy is still not tickled. I will not be going anywhere near the Dell Venue tablet or XPS 13 laptop when they are made available in Kenya, or any other Dell product to come, if I do, it will just be to please the eye and get the firsthand feel of it. And even this I will work to avoid, I do not want to be tempted. When Dell introduced its thin laptops a while back, I was wowed, not because I was a huge fun of Dell, but because it meant the bulky and painful to the eyes laptops would be a thing of the past. The new laptops were easy on the eyes and the specs were the market offing, I was happy for them. The negative feelings I had for Dell laptops, when they were heavy and slow machines, was aroused again with the Inspiron 15 model. A laptop that was overly advertised across the Internet, on newspapers and on Billboards across Nairobi. My first thought when I saw it was that it looked really nice, though I wished there was a colour range apart from the black one, for when I would be ready to make a purchase. I longed for the day I would own my own laptop so bad that everytime I came across one I liked, I would buy it in my mind – I believe everyone does. The day finally came and shopping started; affordable, sleek (thin), colour and of course the must have specs I had listed down. After hours of moving from store to store and running out of time, I couldn’t find one with my combo so I decided I would compromise on the three but not the specs. That is when I came across the 15.6” Dell Inspiron 3521 that I had made mind purchases on several occasions, leave for one little problem – the colour. I couldn’t find one in a different paint, so like I had planned, I compromised and said YES to the laptop. A proud owner of a laptop – Yes it was a dream come true for me – I knew I had to take good care of it because if I dared spoil it or had it stolen, I couldn’t get another one. There was no two ways about it. I did not know my thin Windows 8 Dell choice would come to be my nightmare, until about 5 months later when it started to irk me. It’s response was slow, movies and music took at least about a minute to load and would stop in the middle and the start up process was a nightmare. I never understood why at the time and because I couldn’t access the store sooner, I decided to consult and was told my storage could be the problem. Because I never deleted movies saved on it, I thought okay, why not free some space? Without getting any luck, I survived the hustle for a while, until I finally was able to utilize my device’s 1-Year warranty. I was told the device had to be transferred to the experts from the official distributor’s offices so i had to give it several days allowance. About two weeks later I went back to collect the laptop, the experts said they did not understand what exactly was the problem and because they did not want to open up the device as it was still new, they decided to almost completely free the storage all together. I lost a couple of files, but nothing important. I still had my school work and photos. It was back to normal for another couple of months, and then the same problems returned. Only this time the warranty period had expired, so I decided to free up space again. That did not work either, I had to work with the slow machine and even as infuriating as it was I had to cope somehow. I had to get used to restarting my movie every 30 minutes, let my music playlist hang for about 5 minutes before resuming. But then it got worse, it started going off and I decided I had had enough. I took it to be checked and I could not believe what I heard – my hard disk was at risk of shutting on me for good. I was told I had to replace the hard disk, so I shelved it for a while. I figured maybe someone had tampered with my Dell without my knowledge – that was hard though because it was never out of my sight, but all the same I did not blame the manufacturer until I encountered three owners of the same Dell Inspiron 3521 with the same problems. At least for me the going off and on had come after a year, but for two of the other cases, the laptops were still very new. The sleekness of the laptop had now gone, I could not smile at the Dell logo anymore, my trust had gone out the window along with my affection for the barely 1 Year and a half old laptop. After a week and a half when I did not have another option and could not raise money to replace my hard disk, I was reminded of how one can work from their laptops without having to use the device’s hard disk, so I had my colleague install the Ubuntu Linux OS in a flash drive. As I write this, I am currently working from a flash-drive. My colleague reminds me everyday that I need to purchase a hard disk, but I am too disappointed to believe that the horror experience will not come back to bite me. 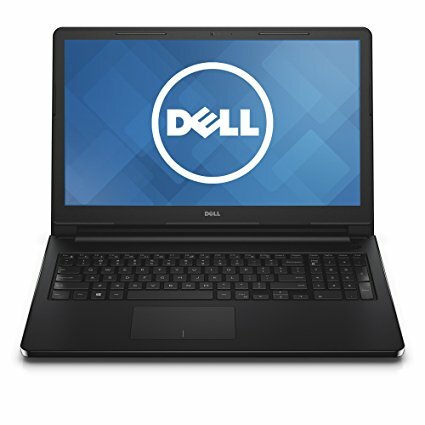 Instead, I am currently considering my options for a new laptop – Dell of course not shortlisted. It gets harder with a tight budget, but one thing I know, I am not going anywhere near Dell products anytime soon. They say once bitten twice shy, I don’t know how relevant that is in the tech world but as long as I am ridding myself of hard-earned money to buy a device, it will not be a Dell product. Hey, sorry to comment on this very late in 2017. But the laptop is perfectly fine. You could try to do a fresh install of windows, which works almost every time. But the best way you could fix the laptop is to get an ssd. It’s 20 times faster than the normal 5400rpm harddrives. Ssd’s make the boot times faster, application and games to load faster. After gettimg an ssd, you’ll never go back to using a harddisk again.